File Spend the new year taking a trip to a museum, such as the Fort Wayne Museum of Art. Courtesy The Castle Gallery is located in an historic three-story mansion in downtown Fort Wayne. Here are some local art museums or galleries to get you started. • Fort Wayne Museum of Art, 311 E. Main St. 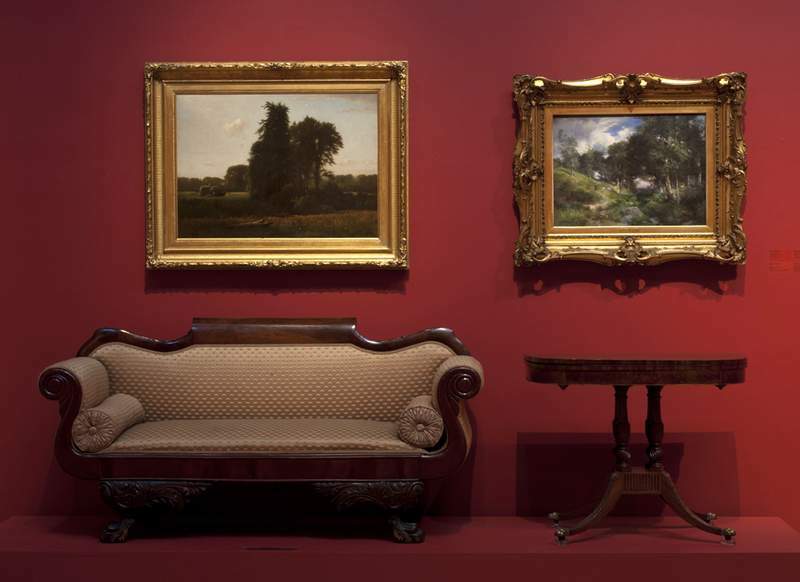 The museum offers exhibits on American fine art and decorative art from the 19th century to the present. Hours: 10 a.m. to 6 p.m. Tuesday through Saturday, 10 a.m. to 8 p.m. Thursday and noon to 5 p.m. Sunday. Cost: $8 adults, $6 students and seniors ages 65 and older and $20 for families. Free general admission from 5 to 8 p.m. every Thursday. • Artlink Gallery, 300 E. Main St. A creative art center and gallery that was created in 1978. Hours: Noon to 7 p.m. Tuesday through Saturday and noon to 4 p.m. Sunday. Free admission, but donations accepted. • Castle Gallery, 1202 W. Wayne St. 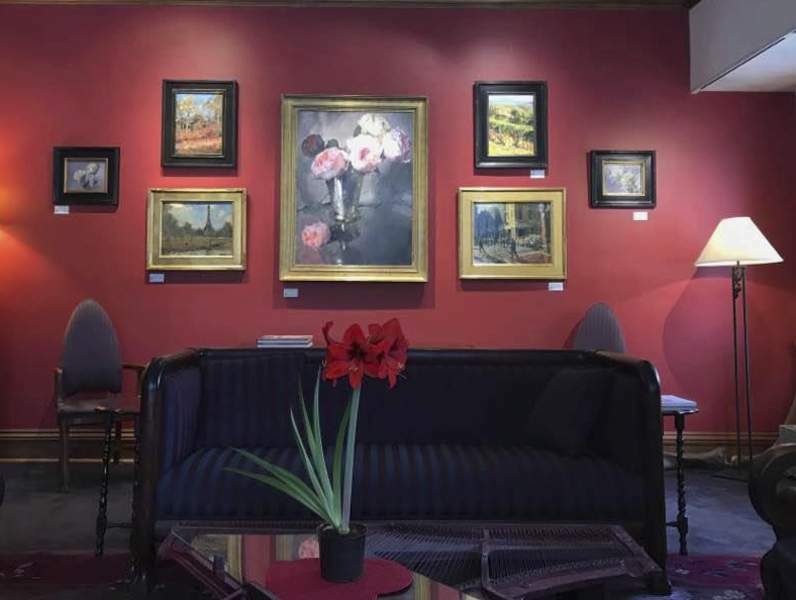 This gallery is set in a three-story historic mansion in downtown Fort Wayne. Hours: 11 a.m. to 6 p.m. Tuesday through Saturday. Free admission. • Jeffrey R. Krull Gallery, Allen County Public Library, 900 W. Library Plaza. Hours: 9 a.m. to 9 p.m. Monday through Thursday, 9 a.m. to 6 p.m. Friday and Saturday and noon to 5 p.m. Sunday. Here's a new year idea: Take someone you love to an art museum. Just go. Take your child. Take your mom. Take your husband. Take your girlfriend. And remember: No pressure. It's not like a play or a movie or a concert, which your companion might like but might just as easily hate, leaving you both stuck in your seats, and you feeling responsible. You can walk out of a gallery any time. Nor do you have to ask someone you love. Try just someone you more-or-less like. Your mother-in-law. Your boss. The lonely old widower you sometimes shovel snow alongside. Go on a date with your lab partner, the one you think is giving you funny looks. Or a double date with the couple you used to see on weekends before they moved out of the neighborhood. Have a plan, or don't. Personally, I like to know where I'll be having lunch. But other than that, I'm up for anything. If you're in New York, spend half an hour at the Whitney, then wander along the High Line. If you're in San Francisco, go to the de Young, then sit down to eat in the Japanese Tea Garden. In St. Louis, if you're done gorging on Matisse and Max Beckmann, wander across the way to Picnic Island. Another suggestion: Don't wait for the big Delacroix retrospective at the Met, or the massive Warhol extravaganza with the huge lines at the Whitney, the expensive tickets, the two hours of ridiculous jostling. Just wander through the permanent collection. You don't even have to go to one of the big museums. There's a decent chance (America is so lucky!) the college art museum already has a Delacroix, but if it doesn't, it will have an Ingres, a Corot, a Courbet, a Seurat, a Cezanne, a Monet and a Morisot. The French 19th century in a nutshell, in other words, on permanent display. And no crowds. But wait. You've never heard of Corot? You “know nothing about art”? I hear this a lot. I get it. There's no end of stuff I know nothing about. But really? You're telling me you don't know how to look at pictures? It's not hard, is all I'm saying. I dropped English literature at college after a few weeks because I couldn't keep up with the reading. I took up art history because it felt good to be flicking through picture books in the knowledge that I was studying. And I was, by the way. I learned a lot. Museums, too, are great for that. You're learning – and learning to learn, to discern, to discriminate – without putting in much effort. If there were a comparable fitness technique, it would become the next craze in a flash. Better yet, there are things here you just can't believe. Some are so beautiful you want to cry. They're sensuous. They're surprising. They're full of poetry and feeling. Over here a child's violin from the 18th century. Over there the most elaborate vision of hell you've ever seen. And here a zebra in the gardens of Buckingham Palace. Pay attention and you realize: Every object here is like this. It's all so strange. So skip the stuff that bores you. Don't even turn your head. Enjoy the luxury of letting whole galleries, entire schools of painting, centuries of civilization slide by in a Gerhard Richter-like blur as you laser in on those satin skirts in the painting by Gerard ter Borch or hunt down your daughter's reliable favorite, Copley's “Watson and the Shark,” or simply follow the signs to the bathroom. Then leave. It's time for lunch. Don't fret about what you missed. This stuff is not going anywhere. It's yours. It's your daughter's. It will be here, just as dazzling, when you come back in April. And it will be here, God willing, 50 years hence, when someone you love – or perhaps just someone you like – is kind enough to push you, in your wheelchair, past these same, extraordinary creations.